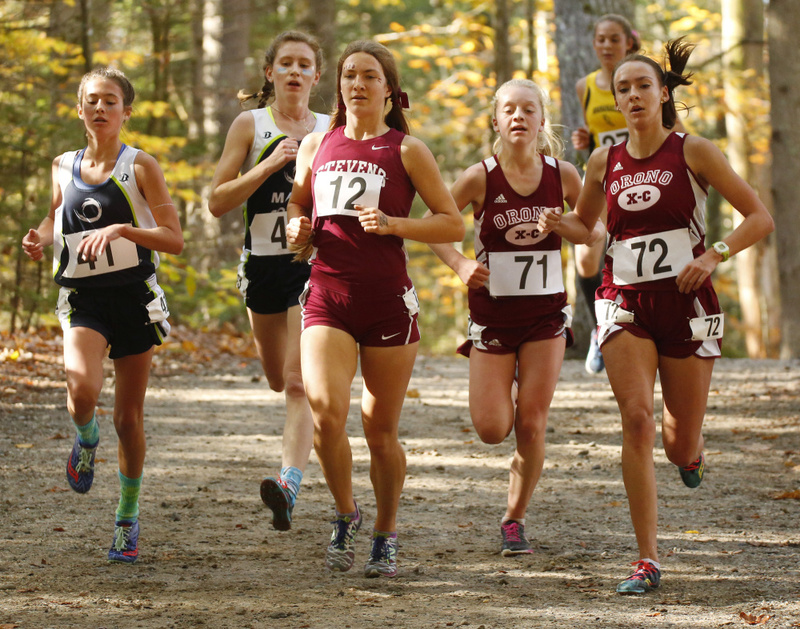 The Orono girls edge Maranacook by one point, while the boys roll to the team title in Class C. In Class A, the Falmouth boys and Camden Hills girls finish at the top. 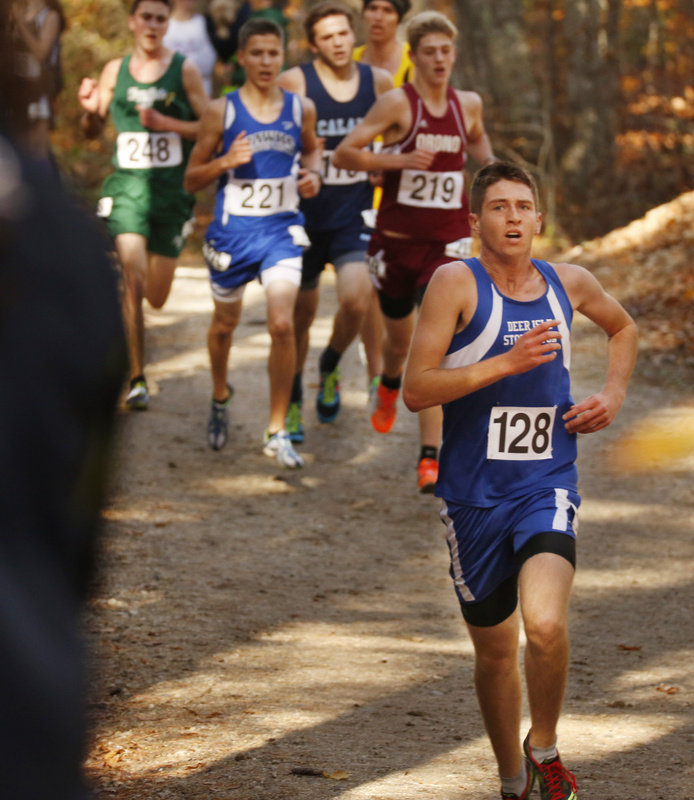 In Class B, the Yarmouth girls and Lincoln Academy boys prevail. 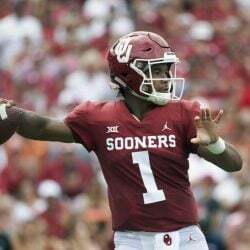 Luke Laverdiere left no doubt. The Yarmouth standout senior ran one of the fastest times ever at Twin Brook, finishing in 15:43.89 to beat the field by more than a minute. Mitch Libby of Wells ran a strong race to finish second in 16:47.43, while Jack Bassett (17:04.86) of Cape Elizabeth was third. The Lincoln Academy boys won the team title with an impressive 56 points, well ahead of Freeport (114) and Yarmouth (115). Yarmouth placed five runners in the top 25 and won the team title with 67 points with York (85) second and Caribou (104) third. Lily Horne of Freeport was the top finisher in 19:10.85, followed by Sophia Laukli (19:42.61) of Yarmouth in second and Lila Gaudrault (19:44.37) of Cape Elizabeth in third. The Orono girls won by the slimmest of margins with 71 points, just ahead of Maranacook (72) and George Stevens Academy (79). Orono placed its five runners in the top 27 with Camille Kohtala (20:22.76) placing second overall and Erin Gerbe (20:25.32) fourth. The top overall finisher was Olivia Reynolds of Maine Coast Waldorf in 20:13.10. Eliza Broughton of George Stevens was third. Orono scored 48 points to pull away for the state title with Maine Coast Waldorf (77) second and Waynflette (130) third. 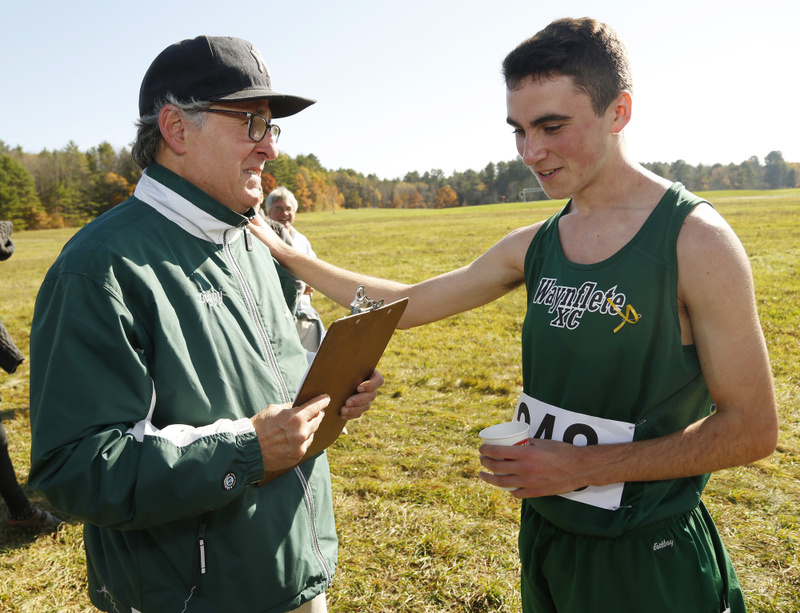 Henry Spritz of Waynflete was the top individual finisher with a time of 17:01.67. In second was Brendan Penfold of Deer Isle-Stonington in 17:08.02 and Troy Hendricks (17:20.25) of Sacopee Valley was third. The Falmouth boys won the title with 73 points with Scarborough (95) second and Greely (105) third. Lisandro Berry-Gaviria of Mt. Ararat was the top finisher with a time of 16:31.71. He was followed by Wyatt Lord (16:35.43) of Hampden Academy and Yahya Nure (16:37.61) of Deering. There was no drama, as expected, in the individual race with Falmouth freshman Sofie Matson winning with a time of 18:41.60. 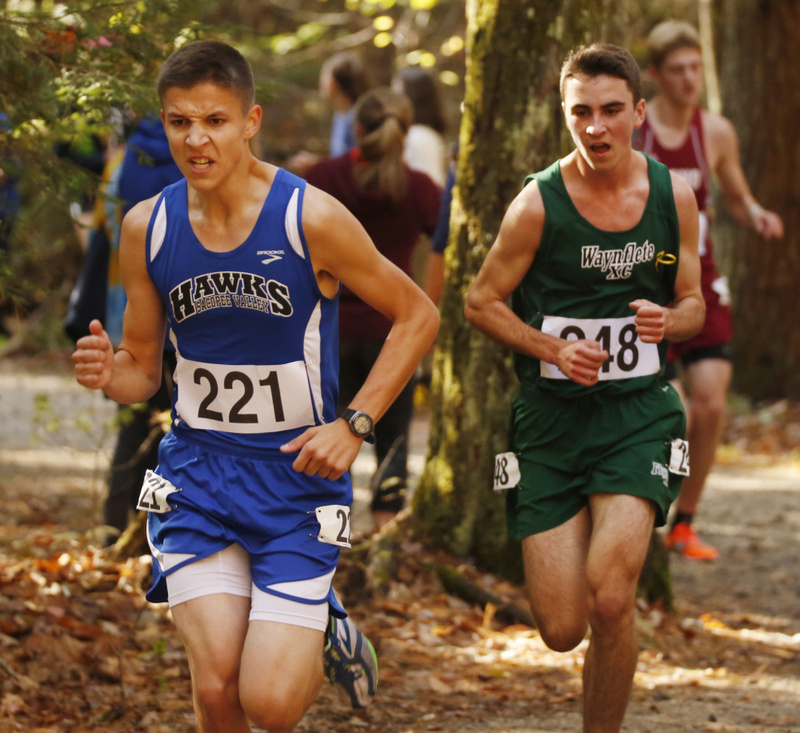 And the race for the team title belonged to Camden Hills, which scored 73 points to beat Greely (1-7) and Falmouth (131). 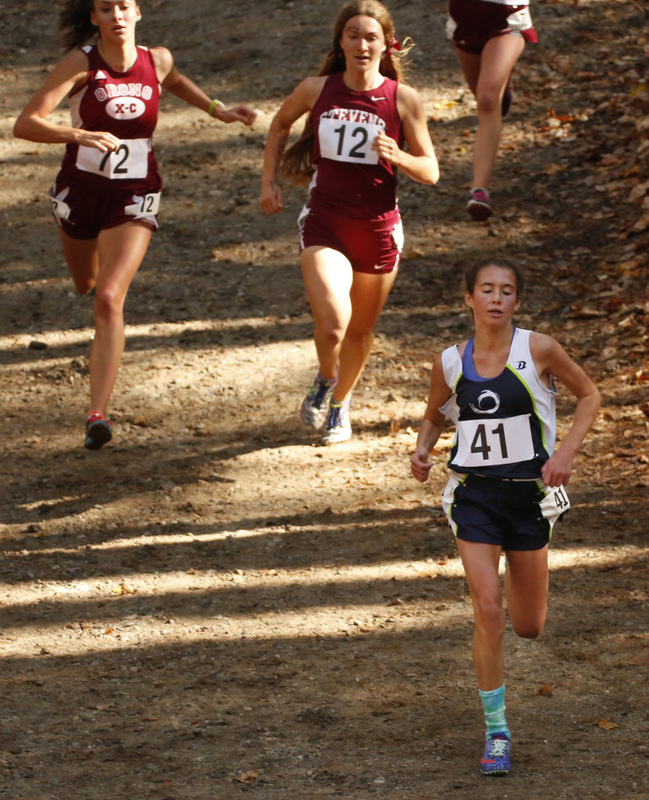 The team was led by Augusta Stockman, second overall in 18:18.29, and Grace Iltis, third overall in 19:18.67.